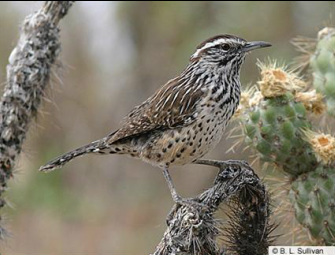 The Cactus Wren can be found in Southern California and Northern Mexico. It is only 8 inches long and has a white stripe running over each eye. They are very curious birds and will explore anything, such as an open car door.